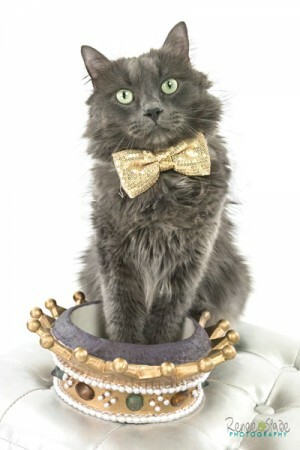 Looking for the purr-fect opportunity to show off your feline's festive side? 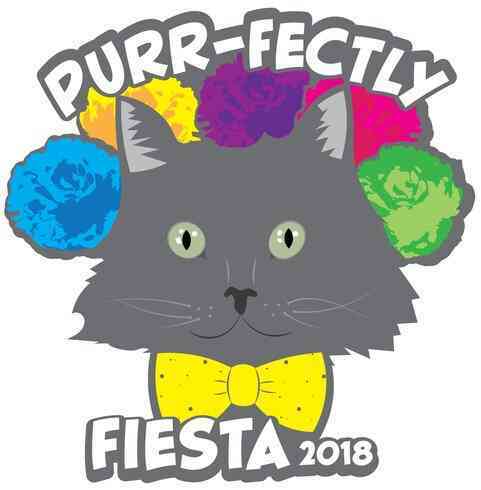 El Rey Fido XVI and the San Antonio Humane Society (SAHS) are hosting a Purr-fectly Fiesta feline photo contest to find a cat who perfectly embodies Fiesta! 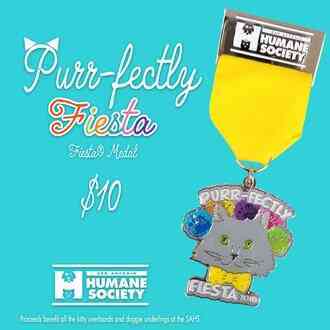 The winner will receive a photo shoot with pet photographer, Renee Spade and their likeness featured on the 2019 Purr-fectly Fiesta Fiesta® Medal. Entry fee is $10 and proceeds benefit all the pets at the SAHS! Show off your Feline's Festive Side and Support SAHS pets! El Rey Fido XVI, the 2018 Royal Court, and the San Antonio Humane Society congratulate Lucius on earning the title of King of the Kitty Cottage! 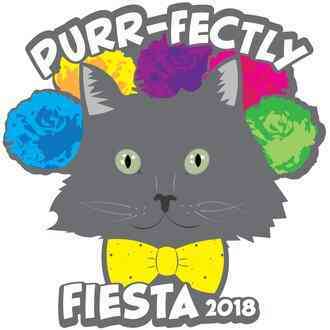 Thank you everyone for your participation in this year’s Purr-fectly Fiesta feline photo contest. 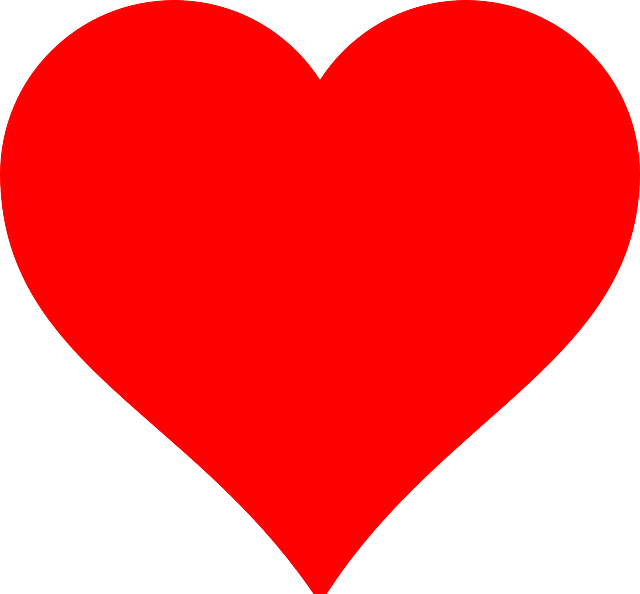 Your donation entry will contribute to our mission of saving the lives of cats and dogs in our community! We had many entries this year, and the deliberations were lengthy—thank you for your patience! We are excited to announce that Lucius has earned the title of King of the Kitty Cottage. He will be featured on the 2019 Purr-fectly Fiesta Fiesta® medal and his portrait shall hang in the Kitty Cottage during his reign. 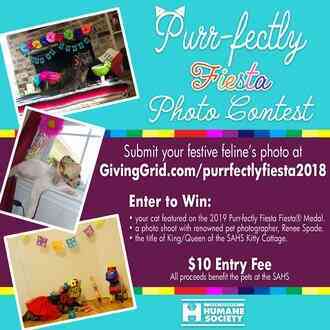 Thank you for your entry into the Purr-fectly Fiesta feline photo contest! Your support goes towards the rescue and care of all our kitty overlords and their canine underlines. El Rey Fido XVI and the 2018 Royal Court are currently deliberating over who will earn the title of this year’s Sovereign of the Kitty Cottage! An announcement will follow once a decision has been made. Thank you for your patience and Viva Fiesta! Looking for the purr-fect opportunity to contribute towards the San Antonio Humane Society's mission to save thousands of cats and dogs each year AND show off your feline’s festive side? 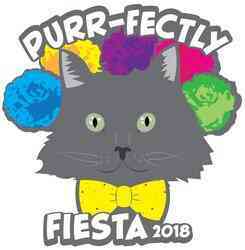 El Rey Fido XVI and the San Antonio Humane Society are hosting a Purr-fectly Fiesta feline photo contest to find a cat in our community who perfectly embodies the spirit of Fiesta! El Rey Fido XVI and the 2018 Royal Court offer the honorary title of King/Queen of the Kitty Cottage to the feline that shows the most Fiesta-themed creativity. Entry fee is $10 and all proceeds go back towards helping pets at the SAHS! Photo submissions should be clear, high-resolution photos. All entries to be submitted by Thursday, April 19. All submissions must include cat's name, owner's name, and contact information. Photo submissions must be Fiesta-themed to be considered. The winning photo will be chosen by El Rey Fido XVI and the 2018 Royal Court. The San Antonio Humane Society (SAHS) is a 501(c)(3) nonprofit, no-kill organization that has served Bexar County and its surrounding areas since 1952. Our mission is to protect and improve the lives of dogs and cats by providing shelter, care, adoption, rescue, spay/neuter services, and community education programs. Every year, the SAHS shelters, medically treats, and rehabilitates approximately 5,000 animals. Many have been injured, abused, surrendered by their owners, or found as strays, and they remain in our care until adopted. Through our community outreach and engagement efforts, including our summer and spring kids’ camps, we remind the public of the importance of responsible pet ownership. This includes spay/neutering dogs and cats, microchipping, keeping up to date with vaccinations, and treating all animals humanely. As a no-kill organization, the SAHS treats and cares for healthy pets and pets needing medical attention, reserving euthanasia only for untreatable animals. We are not affiliated with the Humane Society of the United States (HSUS) or the American Society for the Prevention of Cruelty to Animals (ASPCA) and do not receive regular financial support from them. We believe by donating local, our community can continue to help us further our mission to protect and improve the lives of dogs and cats. 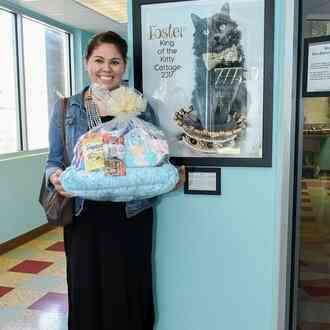 I am helping to support San Antonio Humane Society. This is an important cause and I’d really appreciate your help. Please spread the word and/or make a donation. Thank you so much! I just made a donation to "San Antonio Humane Society." Please help me spread the word about this cause or make a donation yourself. 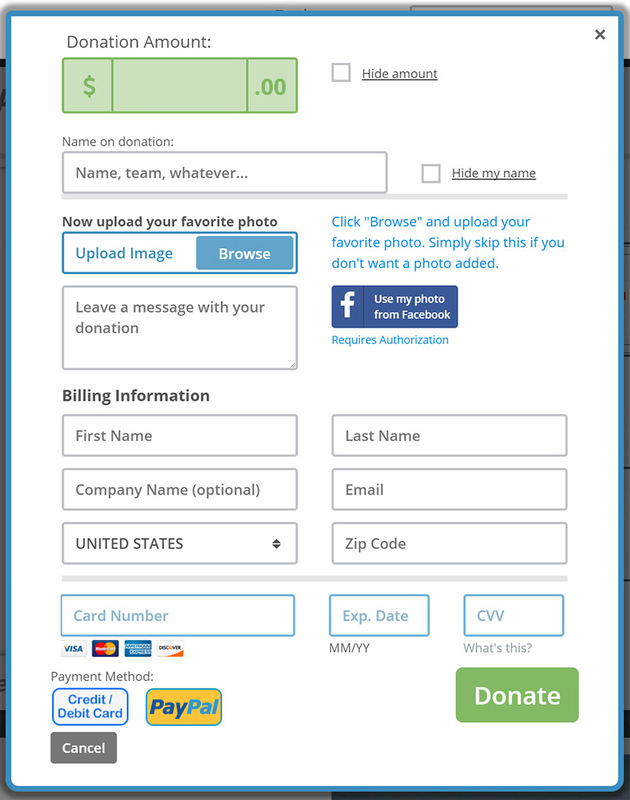 Your generous donation goes directly to the PayPal account of San Antonio Humane Society, less PayPal processing fees. 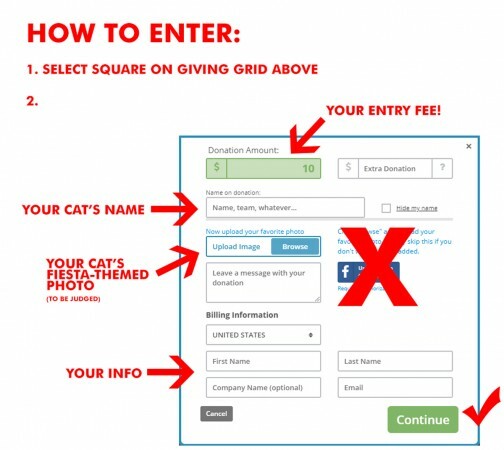 GivingGrid.com does not take a fee from San Antonio Humane Society. It's free to them.You do not need a PayPal account to donate. 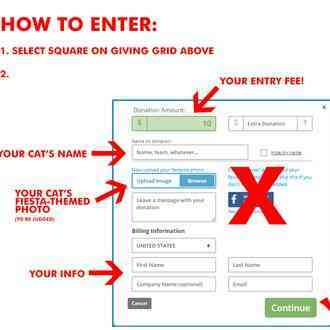 Please help a little more to support GivingGrid's operating expenses and keep the service free to San Antonio Humane Society. Why? Unlike most other services, we don't charge San Antonio Humane Society any fees. It's free to them.